There is always a first time. I am happy to announce that I can confidently work with 360 videos and set you up from A to Z. Here is the latest edit I created and I am still getting myself acquainted with the challenges on hand! 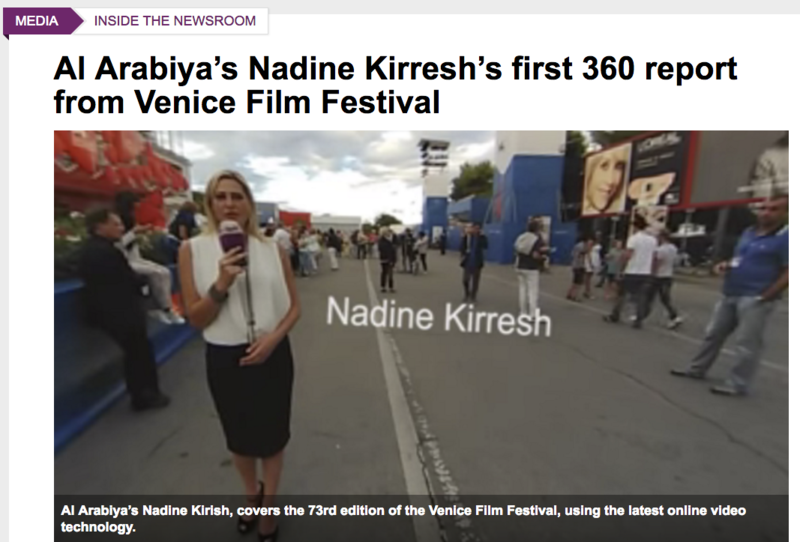 Al Arabiya’s Nadine Kirresh, covers the 73rd edition of the Venice Film Festival, using the latest online video technology.